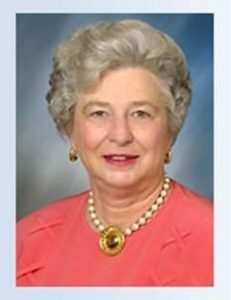 Myra Leigh Tobin, former president of the Kentuckians of New York (2001- 2004) and current board of trustees life member, has graciously provided additional historical memorabilia to our archive. It was during this time Anne B. Korando, President; Allen Kraus, President-Elect; Myra Tobin, Treasurer; Sean Sympson, Assistant Treasurer; Sarah Foster, Secretary; Cathy Karutz, Events Secretary; and Dana Robinson, Membership Secretary; actuated the classification of the Kentuckians of New York as a 501(c)3 non-profit. These 22 documents include newsletters, correspondence regarding directory revisions, dinner information and the meeting minutes during Myra’s stint as treasurer in 1999. Locate and view by clicking Here!